Design of the New Year’s greetings of the printing company Expressions 2. This poster the size of a standard printing sheet was printed four times over, each time with a different fluorescent spot color. During this printing process, the plates were slightly unaligned in order to create shifts in the overlays of ink. Several highly saturated, unprecedented colors emerged through this experiment with the medium of the printing press. 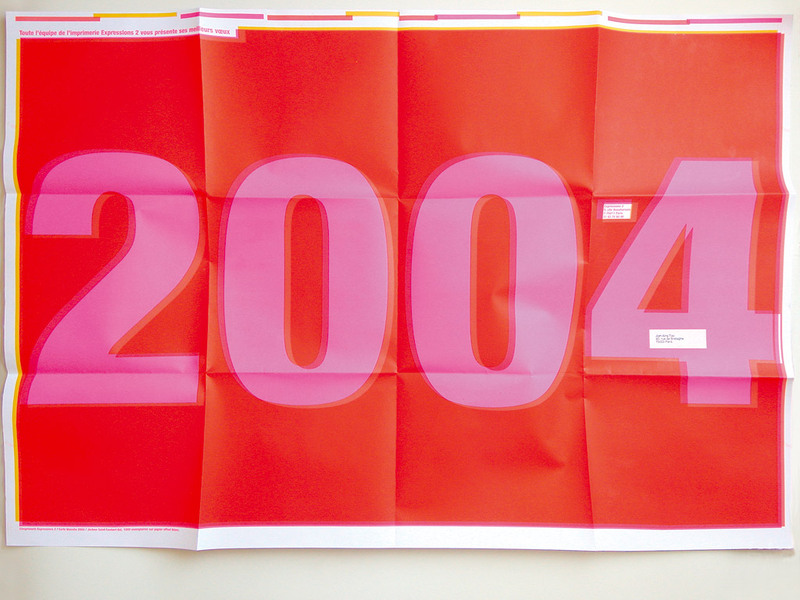 Folded, the poster was designed to be mailed without an envelope.